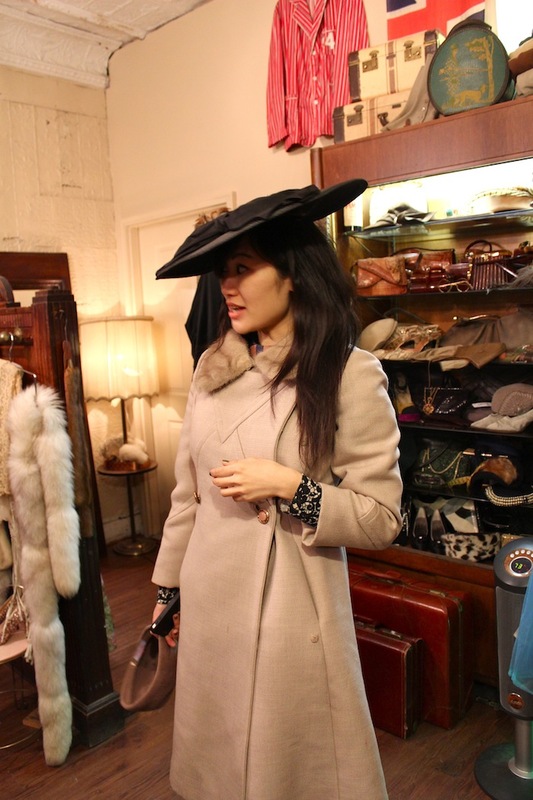 My friend Dakota recently told me about a fabulous vintage shop in Jersey City. I'd only ever driven through Jersey so I was excited to make the trek out there. Turns out, it wasn't much of a trek! Jersey was pretty much just a hop, skip away from Brooklyn. People were incredibly friendly and I kept asking myself if we were actually in the South. We shortly arrived at our destination: Another Man's Treasure. The shop was fantastic, perfectly detailed with racks and racks of lovely clothes, and the owner and sales assistant were beyond friendly. The highlight of the trip had to be when the owner drove us down the street to her showroom to show us the real treasures. It was a like a small museum of fantastical vintage and felt like such a privilege to see. Overall, we had an amazing time and it was certainly an outing I won't soon forget! While I was looking around, I found this incredible purse. It matched my dress SO perfectly! I have a slight obsession with fancy nighties. I ended up buying this hat and am wearing it as we speak. I love the very Joan-esque ensemble from the girl who worked there! Dakota modeling a Schiaparelli hat. Okay, I want everything here! Those frilly nighties are amazing. 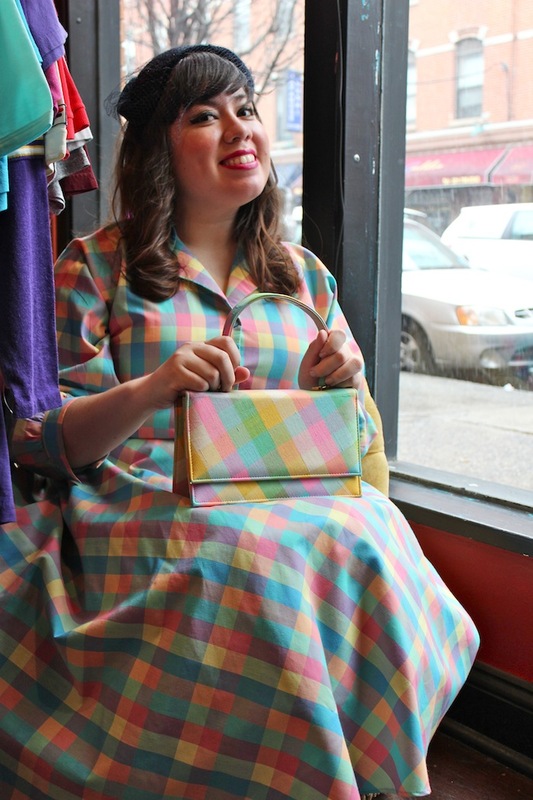 I can't believe that purse matched your dress so well - it's like exactly the same! Right?! So much cute stuff! If you like frilly nighties, just wait for my next xojane article, it's all about my frilly nightie obsession! The bag was more than I wanted to spend but I'm so glad I got the hat, it's one of my favorite things I own. P.S. You're nail art is AMAZING. I can barely put polish on without screwing it up. Thank you! I'm excitedly awaiting your xojane article!